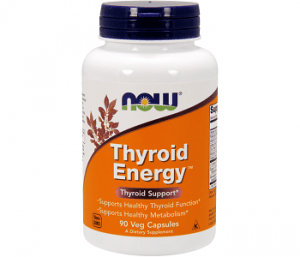 This is a review for Now’s Thyroid Energy thyroid support considers itself a complete nutritional supplement for the support of a healthy thyroid, combining certain ingredients that it considers necessary for healthy thyroid secretions. Moreover, it is a great healthy alternative to prescription drugs and does not contain any wheat, soy, nuts, sugar, dairy, gluten or any type of color or preservatives. We reviewed this all-natural product below to help you decide if it is right for you or not. Other ingredients include: Cellulose (capsule), cellulose powder, Magnesium Stearate and Silica. This product is not manufactured with wheat, gluten, soy, milk, eggs, fish, shellfish or tree nut ingredients. It is also cGMP certified. One thing that was missing was the optimal thyroid support that a good thyroid product should offer, managing symptoms of hypothyroidism, assisting with weight loss, alleviating depression and helping with mood swings. These come in the form of ingredients such as magnesium, Bladderwrack, Molybdenum and more, which are missing from this ingredient list. Two capsules should be taken, preferably in divided doses. This product should be stored in a cool, dry place after opening. This product should not be taken for those who have a known ulcer as it may cause mild transient GI upset. Individuals who also have a thyroid disorder and are taking any type of thyroid medication, warfarin, L-dopo, SNRIs, or MAO inhibitors should consult a physician before using this product. There are two ways that Thyroid Energy can be purchased: A 90-capsule supply for $19.99 or a 180-day capsule supply for $35.99. This product does not seem like it offers any type of guarantee or refund policy. Upon checking the website thoroughly including terms and conditions, no information was listed on whether or not a refund would be allowed. This is a huge disadvantage when looking at products for purchase. Now’s Thyroid Energy appears to be a very good product. It offers most of the right ingredients to deal with a thyroid problem, and it is all-natural. There are not many known side effects unless one already has a medical condition or an ulcer plus, the price is relatively normal in relation to other thyroid supplements of its kind. It’s biggest downside is the return policy. Thyroid products always offer at least a minimum of 30 days money back guarantee or even more sometimes. Now does not even offer this; they are a non-refundable product which is a huge downside when trying any supplement. We all know that supplements can work on some and not others depending on the vitamins missing in the body, so it could be that it will work on you. However, are you willing to take that risk? 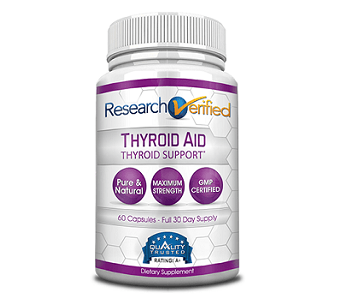 We strongly suggest finding a similar product with similar ingredients (or even more as we listed below), that will have the same effect on you that Thyroid Energy might, but with a risk-free trial to give you the chance to return it if it does not work.